This day will focus on cyberbullying and the main message that. read the article, "Cyberbullying: An Emerging Threat for the 'Always on' Generation"
*Note: The slogan "Send the Message" is used here with the permission of and thanks to the Boys and Girls Clubs of Alberta. 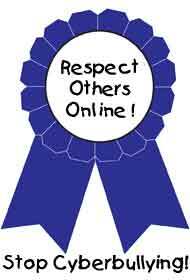 It was first used at their conference about cyberbullying that was held on May 11th, 2007 in Edmonton, Alberta.